Today is the second annual Asteroid Day, dedicated to increasing awareness of asteroids, the threat they may pose to our planet, and what we can do to prevent impacts. the one-and-only Neil deGrasse Tyson. See the first episode below. Why promote interest in asteroids? that NASA knew were whizzing around near our planet in 2013. And, remember, this graph is dated. that we didn’t even know was there until now. we’re hearing more about lately. on this fragile, beautiful planet of ours, doesn’t it? • Learn more about Asteroid Day here, here, here and here. • Learn more about asteroids in general here. • Join the effort to track asteroids here. • See more images and videos of asteroids and comets here. 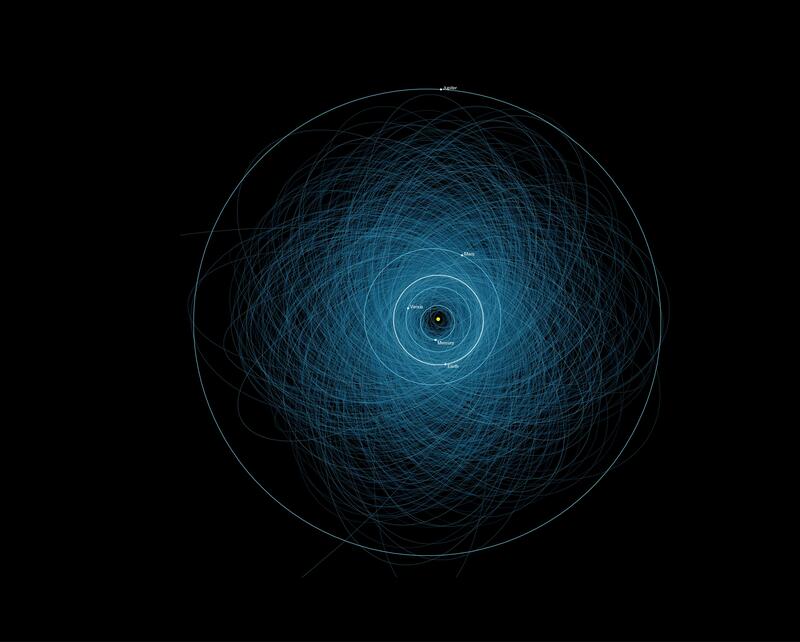 This entry was posted in Discoveries, Events, The Heavens, Uncategorized and tagged Asteroid Day, Asteroids. Bookmark the permalink. 1 Response to Happy Asteroid Day!